Try this tasty healthy breakfast shake. Blend oatmeal, ground flaxseed, cinnamon, fruit (banana, apple, papaya, your choice), water and skim milk. 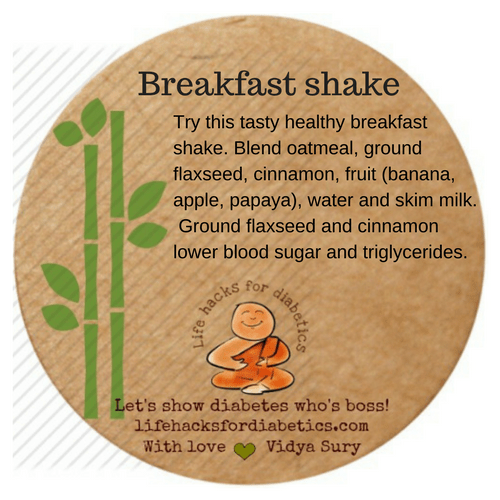 Ground flaxseed and cinnamon help lower your blood sugar and triglycerides. I’ve never really tried smoothies and the like, but this sounds good.